please press Ctrl + C to copy the url for this FAQ to clipboard. How do I upgrade the firmware on my router? 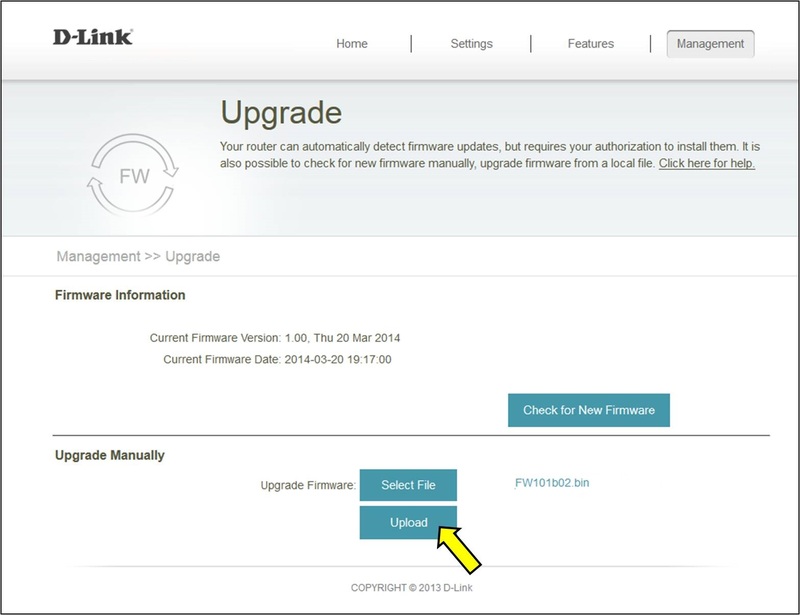 Important Note: D-Link Suggests only upgrading the firmware over a WIRED connection. Performing the upgrade over a wireless connection may damage the router in the event of a connection drop during the upgrade process. It is suggested to download the firmware somewhere it can easily be found, such as your desktop. Note: The firmware file should be a .bin file. In some cases the firmware is in a .zip format. If so, please extract the .bin file using the built in Windows extractor or using Winzip/WinRar. Note: This downloaded firmware file cannot be opened or run on your computer. It must be loaded into the router. 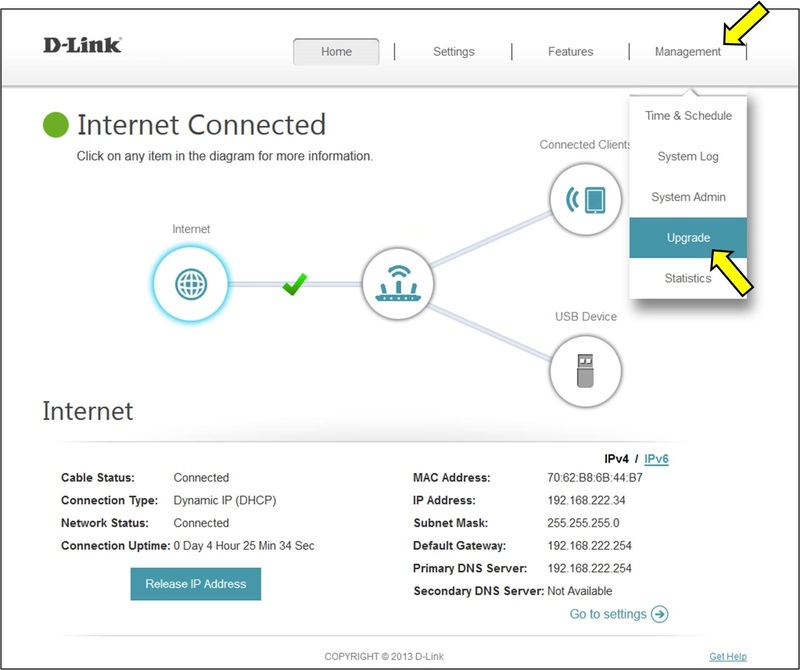 Step 2: Log into your router- How do I log into my router? Open your web browser and enter the IP address of the router into the address bar- The default IP is 192.168.0.1 or click here http://192.168.0.1. 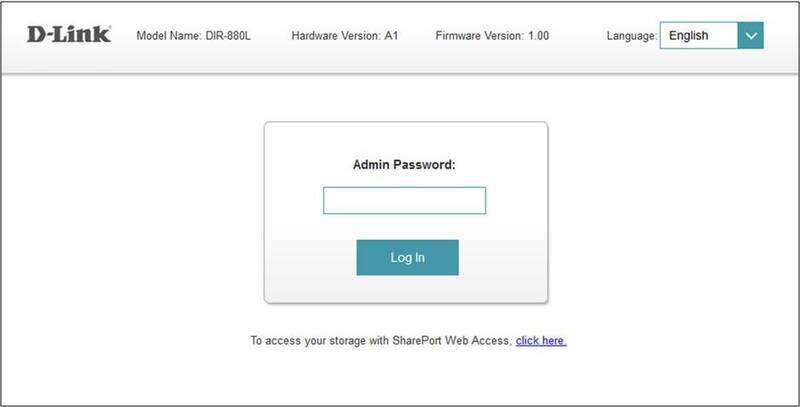 You should be taken to a D-Link login page. By default, the username is admin and there is no password. 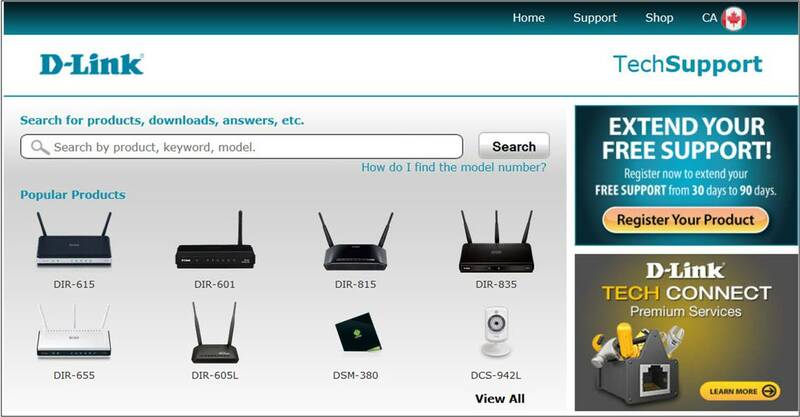 Note: If you have lost your login password, you will need to reset the router to factory default settings. 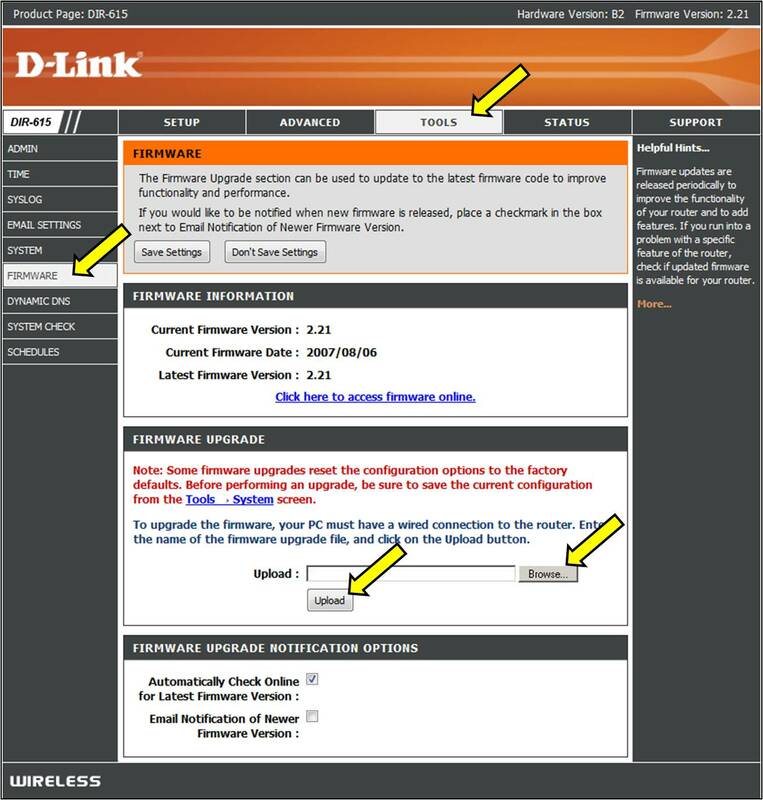 Click here for reset instructions- How do I reset my router? Note: For Videotron customers who have the DIR-825VT, please check with your Internet Provider for firmware updates. 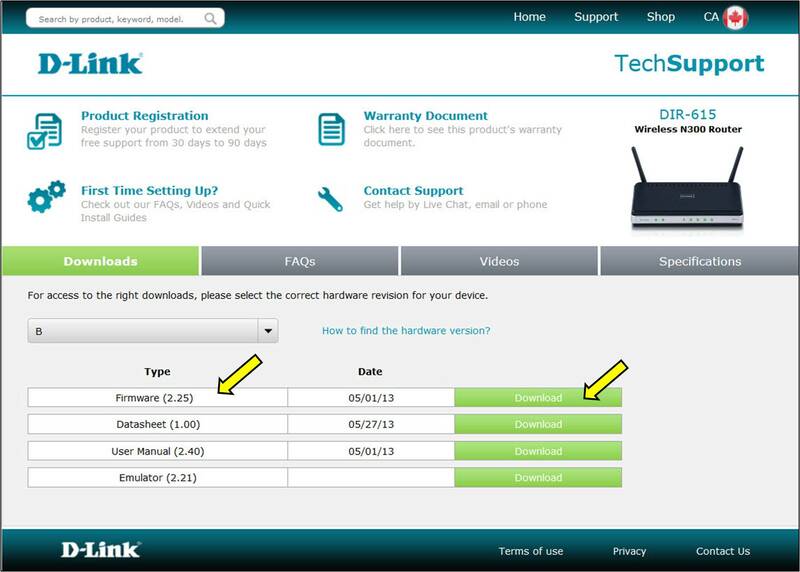 How do I check what firmware version my router has? How do I check what the latest firmware version is for my router? Note: Internet is not required to access your routers configuration interface. Internet is only required to download the firmware file. Note: Some firmware upgrades revert all settings back to factory default settings. If this happens, you may need to reconfigure your wireless/internet settings. 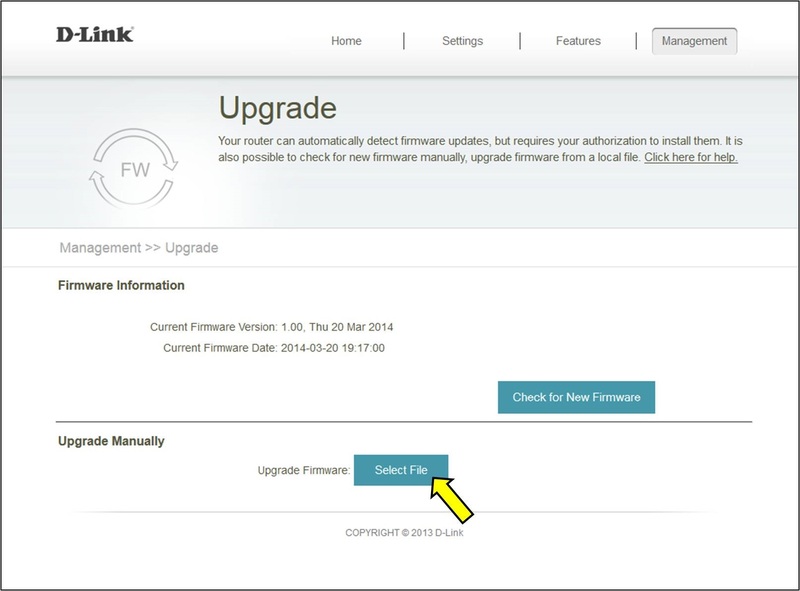 Step 3: Click on the Tools tab at the top and then click on Firmware on the left-hand side. Click on the Browse button and browse to the .bin file you downloaded in Step 1. Step 5: Click on UPLOAD to begin the upgrade process. It may take a up to 240 seconds for the upgrade to complete. Follow onscreen prompts. 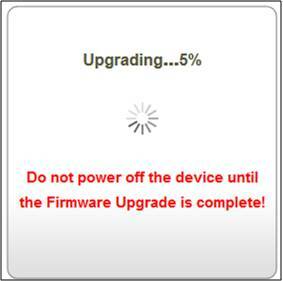 The firmware should now be upgraded. 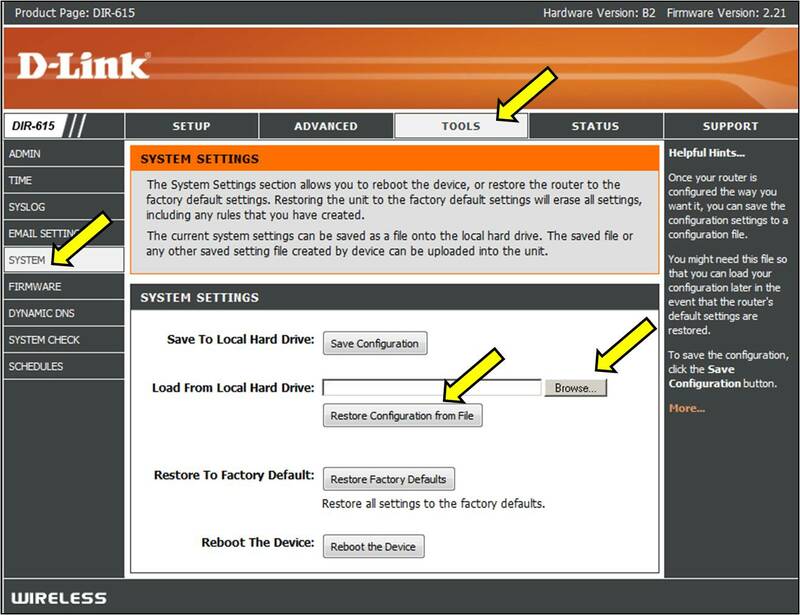 Note: If you previously backed up your router configuration, you can reload it by cliicking on Tools > System - Click on browse to select your settings file and then click "Restore Configuration from File"
Note: This example uses the DIR-880L Please ensure to select and download the correct firmware for your router. The firmware will begin to upgrade.